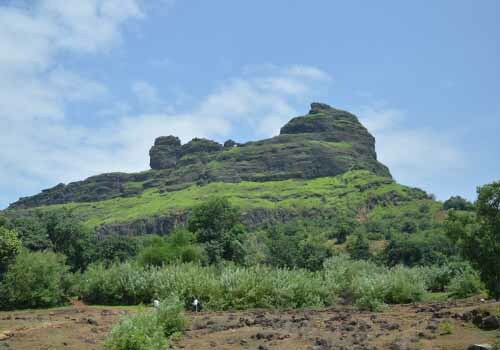 Prabalgad and Irshalgad are both located near Panvel. Prabalgad is 65 kms away from Mumbai whereas Irshalgad is 70 kms. 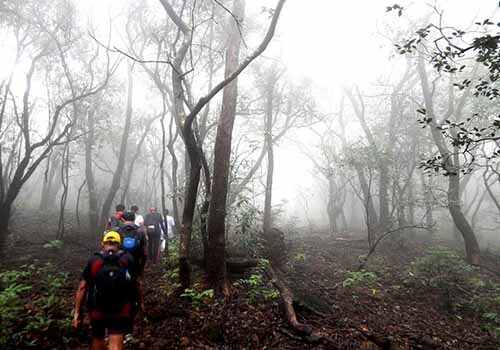 The trek duration of the entire event is around 9 – 10 hours, thus endurance required for this range trek is high. 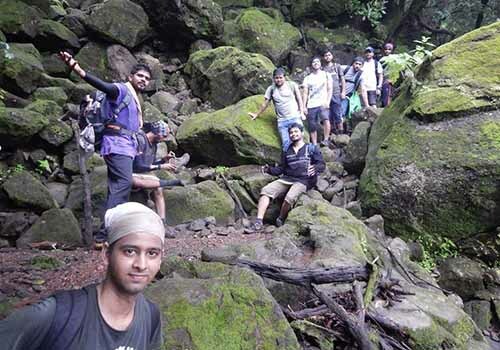 The trek starts from the base village of Prabalgad which is called as Thakurwadi. 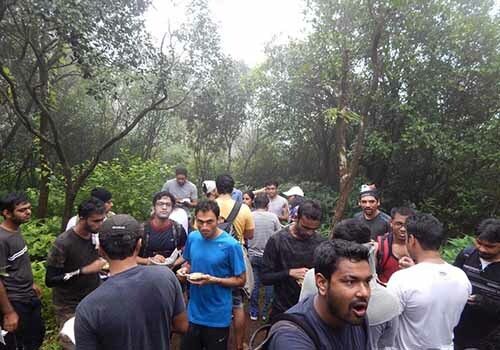 On first the day the trek ends after 2 hours of passing through Jungle Trail and reaching the Prabal machi. The base for many trekkers who climb either Kalavantin or Prabalgad. The next day begins early in the morning as we ascend to Prabalgad which takes around 2 hours to reach top. Exploration of the fort consist of ruins of Ganesh Temple and Kala Buruz. The top plateau is possessed with dense Jungle. We pass through this Jungle to cross the Waterfall which leads us to the ridge of Irshalgad. The ridge walk will be windy and one needs to take care while walking on the same. The ridge walk will of around 2 hours. After passing the ridge a small hike to Irshal Machi which is the base of Irshalgad. The descend from Irshal Machi to the base village will take around 2 hours. You will get ample opportunity to fill your memories and cameras with stunning views of the valley filled with vivid shades of green. Meet at Panvel Railway Station at 6 pm. We will travel in the transfer vehicle to Thakurwadi village which is the base village of Prabalgad. We will reach Thakurwadi village around 7 pm. After brief round of Introcduction and Instructions we will start the trek to Prabal Machi. This is where we will stay for the night. Around 9 pm we will reach Prabal Machi. Relax and freshen up. 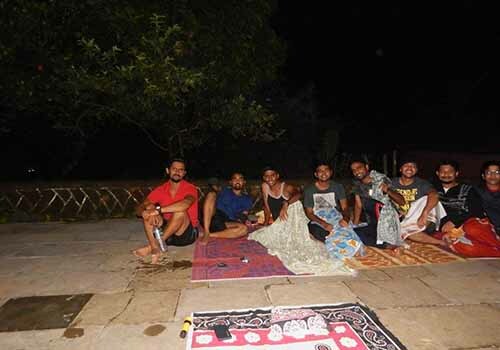 Fill your stomach with the meals cooked by the villagers to regain your energy. We will sleep early as tomorrow we have a big day. Wake up around 4:30 am. Freshen up and start the trek to Prabalgad around 5: 30 am. We will have breakfast on the way. By 7:30 am, we will reach Prabalgad. 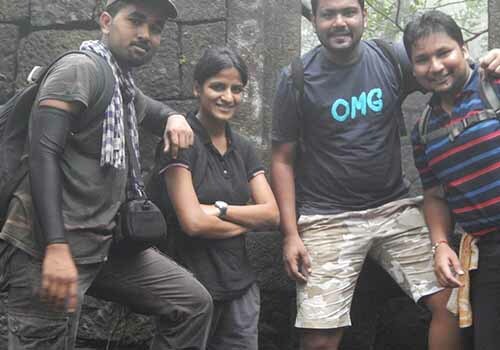 Have some water and we will explore the ruins of Ganesh Temple and Kala Buruz. After reaching Kala buruz, we will reach a waterfall which will lead us to the ridge to Irshalgad. Do not forget to take ample photos and safe selfies on the way. We will reach Irshalwadi around 12:30 pm. Reach the base village of Ishalgad around 4:30 pm and travel back to Panvel Railway Station in the transfer vehicle. Please share your experience and feedback on the way back. We wish you all the best for your further journey.